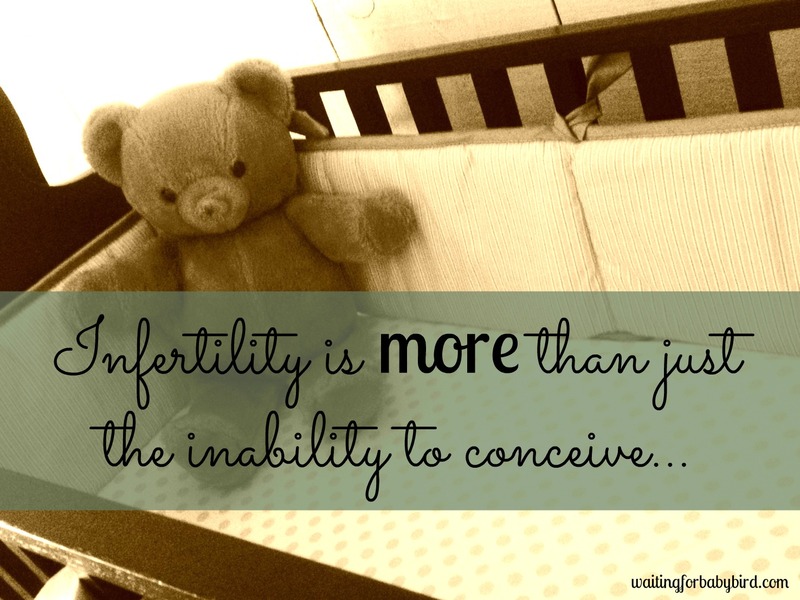 If you struggle with infertility and are like me, you come across days, holiday’s, months, seasons, or special anniversary dates when you think, “This is THE perfect time! Everything points to this particular month as being THE ONE in which you will get pregnant. But then as the “perfect time” passes and your pregnancy test doesn’t come back with those precious two pink lines you were hoping for, you are left feeling devastated. Doubt creeps in as you begin to wonder whether or not your circumstances will ever change–because after all, the “perfect time” has just passed by. How will there ever be another more “perfect time”? This just happened to me. Because while there have been many times while on this journey in which I have thought, “This is the perfect time”, I have to admit that this month, this cycle, this time, it was different. It felt different. It looked different. And I was different. I was more confident than ever because of all the signs, symptoms, and calculations. For instance, I ovulated. 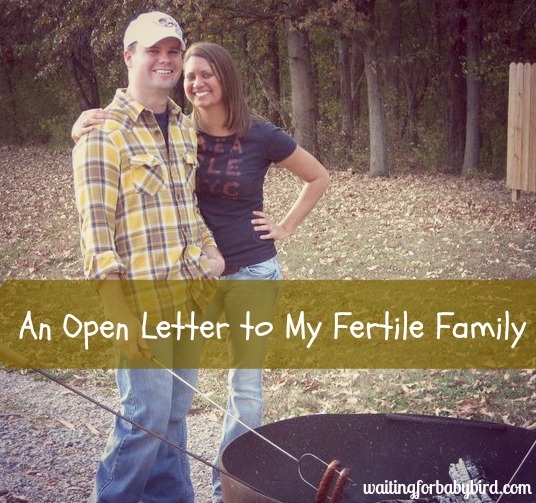 I haven’t ovulated on my own in over 21 months since I stopped taking fertility medicine. And so to have the signs, symptoms and actual ovulation? Huge, friends. Huge. Secondly, this miraculous ovulation happened on or around the 17th. Why is this so significant? If you have read my post Sweet Dreams, you will understand that this particular number holds so much meaning to me. 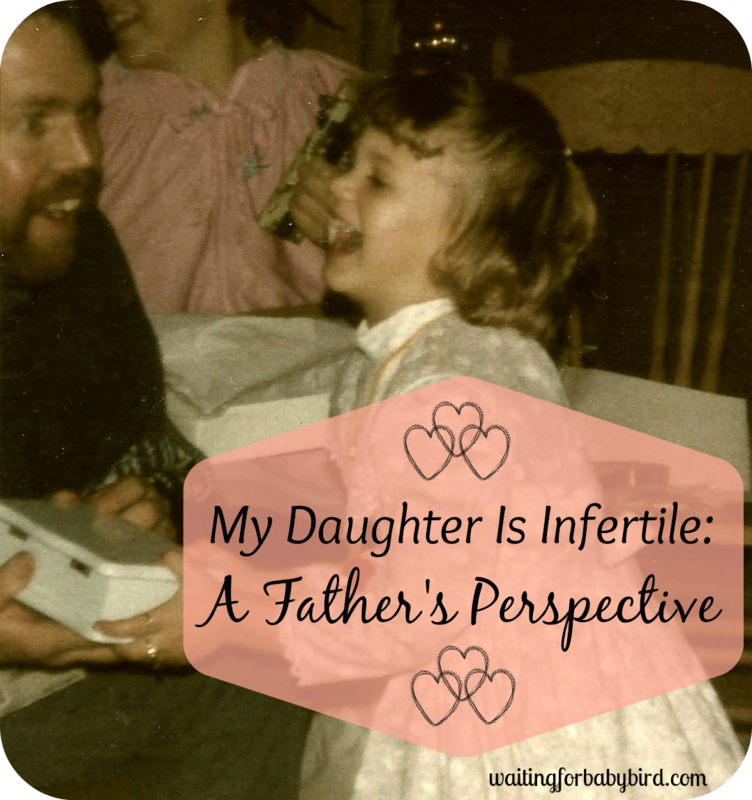 Therefore not only were things looking “perfect” in the sense of my body finally ovulating, but the day in which I ovulated seemed to be perfect too. And for another sign that this was the “perfect time”? The possible due date. Usually since I never know when I ovulate, the “when is my due date” calculator is pointless and I haven’t visited those sites in over a year; but with the chance of knowing when I might have conceived this cycle, I went ahead and consulted Dr. Google. According to Dr. Google, my due date would land on or around October 17th. Catch my breath! Did Dr. Google just say October 17th? As in, 10-17? Because friends, the number 10 also holds a special meaning to me. In April of last year, many woman were praying for me at church and three of them heard the number 10. I went home and Googled the Biblical meaning of this number and it means “completion of a cycle” and “not wanting”. If I was to give birth in October, it would definitely be the “completion of a cycle” and I would fo’sho “no longer be wanting.” The “perfect timing” doesn’t stop there because my Dad’s birthday is February 17th…this would be the perfect gift and perfect day and date to announce to my family that the struggle, the wait, and the anticipation is over. So as you can see, this particular cycle was looking PERFECT! The timing, the significance, everything, was simply perfect. As if these positive dates and signs weren’t enough, I also started having pregnancy symptoms. You name it, I had it! And so I couldn’t help but think, “could this actually be happening?! Was I actually pregnant? !” All the signs and symptoms pointed to pregnancy…that is up until that moment I went to the bathroom. And all my ideas of how it was the “perfect time” came crashing down. The next cycle had officially begun. My “perfect time” had passed me by…so long…sayonara…adios. It’s not the first time my “perfect timing” has passed me by. As I have said earlier, I have had many. But this one seemed more “perfect” than others. It just wasn’t about thinking, “Oh Christmas time would be perfect because I could announce in front of all my family and friends.” Nope. It was more than that. Each sign, symptom, date, and number held a high significance to me. How could God allow this opportunity for Him to flex His supernatural muscles pass by? How could He let this “perfect time” slip through the cracks? And then I stop and think, how could I possibly think I know when it’s the “perfect time” to bring a new life into the world? How arrogant am I? Because as I stop to think about it, I remember the story of Zechariah and Elizabeth in the New Testament who were old and still barren despite years of trying to grow their family. How many “perfect times” passed them by? However, having reached the age pass menopause, and children seemed like an impossibility, an angel appeared to Zechariah and announced his wife would conceive a son at “the appointed time”. It wasn’t their “perfect time” to become parents because their idea of that was years earlier. It was back when they were younger and able to run, play freeze tag without getting tired in five minutes. Or when he was able to wrestle on the floor without pulling a muscle. But this story highlights that our “perfect time” is not always God’s “appointed time”. God has known since the beginning of my infertility journey, even from the starting point of my life, the “appointed time” for fulfilling His plan to grow my family. The moment when I first gaze into the eyes of my baby bird will be of no surprise to Him. It’s already scheduled and if I could see His calendar for my life, it would be there. Circled in red with a birthday cake drawn in the box. But the question is can I wait? Can I trust God’s purposefulness enough to push aside my time frame and instead pray for patience and peace until He makes it happen in His way and on His schedule? The answer is yes! Yes I can. Because I trust Him. And I know He is just as eager to watch me share the pregnancy news and then nine months later look down on me as I joyfully count each finger and each toe. I can’t leave this post without giving God all the glory for this shortened cycle. My past five cycles have been long and each time I begin a new cycle, I am always wondering if it will be another record-breaking Longest.Cycle.Ever.. But God has answered my prayers. I have been asked if I did anything differently this time around and I guess you could say I did, but not for fertility purposes. At the beginning of the year, my husband and I participated in a 21 day Daniel fast with our church. This meant no added sugar, processed foods, meat, or dairy. We ate only veggies, fruits, and rice (it.was.rough). I do know that women with Polycystic Ovarian Syndrome (PCOS) need to watch carbs and sugar because they can have a negative effect on our reproductive hormones; therefore, one could assume my lack of carbs and added sugar might have helped shorten my cycle. With this assumption, I might start being more cautious about the food I eat…but I will not give up my pizza or tacos. I can’t give up that. At least not yet. ← Why She Got a Baby? Short term: Sorry you aren’t pregnant yet. That’s always such a letdown and I’m sure the nausea really threw you off! Long term: God has a very special little boy waiting to be in your arms and I KNOW this will happen! Big hugs and prayers for support. A short cycle IS a big deal!!! Here’s hoping to the “biggest deal.” Yay! Awe. I know how you feel but praise God for His timing and comfort! I am glad you are getting healthy, that will help. When you indulge in the pizza and taco, opt for whole grain as it is easier on insulins and the hormones. Is making at home an option? You coukd also go for a smaller portion and them bulk up the meal with a side salad. yes but what I crave is the hometown pizza and taco joints (they are ma and pop type of places). They are my fav I don’t eat them often tho. Do you have any good low carb recipes? Could you email them to me at 10hopeingod@gmail.com if you do? General suggestions more so than recipes. It has helped my Mom to feel better with her PCOS. You can pinterest some too. If I come across something good, I can send it your way. yeah i have the general knowledge of what to eat, etc. (I have read and researched A LOT in the past) but I never really stuck to it because it didn’t seem to change much for me. I am mainly just going to keep the sugar and carbs cut back because I did feel better while on the fast. Sounds like a good plan! Good luck. You have such strength, doll, and I know that this is because of your faith. It is absolutely true, you and your husband will undoubtedly be perfect parents when the timing is right. And thank the heavens for a short cycle!!! thanks girl!!! Yes!! Thank ya Jesus for a short cycle!! WHEW! Usually my one cycle is the length of two for someone else. It makes waiting terrible. My heart sank when I read you started after reading how everything seemed to line up so beautifully. I don’t understand either, but I am so thankful for this shorter cycle for you. What a stand up guy your husband is- encouraging you to praise God for answered prayer. Thank you for being such a shining light Elisha. I keep thinking of the post you write when it is the perfect time, its going to be AMAZING! Lots of Love to you!! Yeah we often think, oh wouldn’t it be nice if we get pregnant this cycle? I remember my first retrieval landed on my birthday when I turned 39. I was thinking, there must be a reason for it that all the stars aligned for the retrieval to be on my birthday. After twists and turns for that cycle and a few more cycles, the embryo that was made and grew and frozen for that cycle is in my uterus now, seven months later. I am not saying that I will get pregnant from this cycle. (Although I choose to believe that I will, until Tuesday.) God has His time. You can think your way, but God has His plan. It’s so easy for us to lose sight of that. You always have the greatest insights that are given by God to you. That’s a great blessing. Thanks to the Lord for a shorter cycle this time for you. All the waiting is so tough. We’re doing a Daniel study and also started 21 days of prayers and fasting. I have started the prayers but not the fasting part. 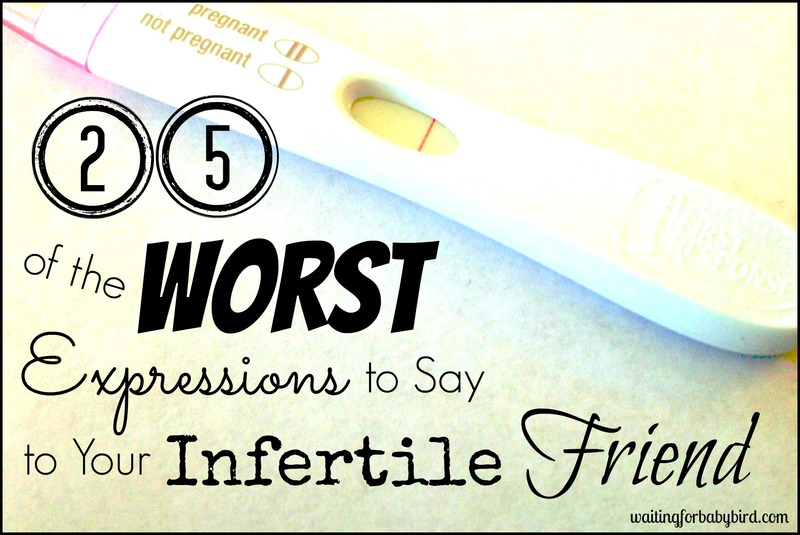 I refuse to take pregnancy tests on holidays now- they always end up negative, and then it ruins the day! You are so right about the appointed time being the perfect time- I like your perspective! Also, I have PCOS and am thinking I need to try that diet out- crazy that it made your cycle shorter! Mannn I’m going to miss pizza, cheese-itz and cookie dough though! i say have one cheat day a week. That’s what I am going to do. That way during the week, I will resist because I know I have a cheat day coming up 🙂 Keep me posted on how you do! Amen! God’s perfect timing will come and one day we will all wonder why we fretted about our supposed “perfect time”. Hang in there girl. You are such a positive encouragement for us all. Love you! Thanks girl! Yes, if we think all of our “perfect times” were perfect, how much MORE perfect will God’s timing be? Very exciting to think about it. Thank you so much for this post – this was just what I needed to read today. Am being impatient and downright grumpy so will read this post again and remember to thank God that his timing is perfect x.
Dear, sweet Elisha! Such a powerful post and so precious to see your resignation to God’s perfect will and timing. 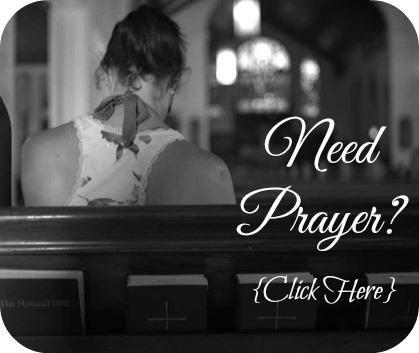 Today, I had a very rough day….I got a very disturbing letter in the mail, and God knew I was going to need something to let me know He is with me and that He has children who follow His lead and mind His prompts to bless others. Along with the letter, guess what else my sweet husband brought in from the mailbox??? You guessed it! Your dear, encouraging package….for me! What an amazing, comforting ministry God has given to you!! THANK YOU ever so much! Speaking of timing, yours could not have been more perfect. God always knows ahead of time, and He works accordingly. 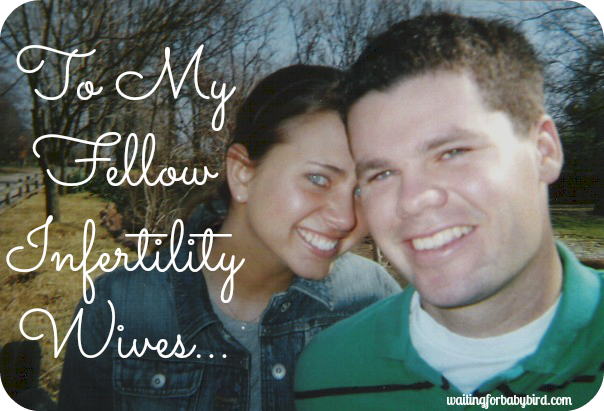 Just like He is doing with you and the perfect “fullness of times” that He will send you your baby….and the way He is using your infertility blog to connect you with those you would never meet otherwise. He is using you, dear one, and He especially used you today to give me courage and strength during a very low and stressful point. I cannot thank you enough….you will never know what it meant. Love and appreciate you so much! Oh friend! So many “perfect” times passed by during the 3.5 after birth control. I know that pain and disappointment. Still, God is good. Funny enough…this timing doesn’t make as much sense, but now I have to trust that God has it all under control. May you be filled with peace today. I am so glad I am not the only one who thinks every month is the perfect time! lol I swear I will find signs every cycle why it is perfect, but so far there has not been a perfect time for us either. I will be praying for you and your husband in your journey. God is good and our perfect times will come right when He sees fit. Ah, the perfect time. I know all about that. I have thought about changing me diet too. PCOS – that gives me a bug question mark! Maybe you can be Dr.Elisha, instead of Dr.Google. lol – I have ovarian cysts all the time, painful ones too. I have wacky cycles and some other symptoms that I looked up online. My Dr has never come out and labeled me “PCOS,” but I have self-diagnosed it. I researched that gluten-free is the best for this. What’s the verdict according to your research? Diet and Diagnosis? I have researched PCOS and read lots of books on this one. I have noticed that anytime I watched my carbs and sugar my cycles were more on schedule. Hmm. Thanks for the info! I appreciate it! Elisha, I have never commented and just recently found your blog but every time you have a new post up I am encouraged by your faith. I have been finding it really hard to let go of the little bit of knowledge I have about my cycles and leave it to God. I guess my question is this, God has revealed to you that he will bless you with a child and I honestly believe he can do miracles and does, however , there are plenty of Christians who have faith too but still could’t have children. I guess I’m having a hard time because who knows if its even God’s will that I have children? Last cycle I was sooo frustrated… I had a few very encouraging signs that I had never had before and I was excited and praised God for them! I even got a very faint squinter ( even though it was after the recommended time:-) ) but it too ended in an unwelcome visitor! I just couldn’t understand why a loving God would do that! I’m sorry to bombard you with such tough questions! I don’t even expect an answer! And I honestly believe that All things work together for good!! Keep the encouragements coming and I’m sorry this is was such a tough cycle for you! If nothing else this whole process has definitely made my relationship stronger with the Lord and that is a huge blessing! This post reminded me of a previous one you’d written (the ‘nevertheless’ one). I’m sorry this cycle wasn’t ‘the one’ but nevertheless at least you had a nice, short cycle! You’re constantly in my prayers, many hugs! I always love your perspective!!! I know it’s hard every time it’s not ‘this cycle’ but there is so much hope that the perfect timing is so one cycle closer!!! Great outlook, and yay for a shorter cycle and a CD17 ovulation! That is phenomenal! Keep following that diet. Hey, can’t hurt since it’s healthy for you anyways! I’m struggling so much. To trust in timing that may never come is getting more and more difficult. But I love your inspiring posts. Love your outlook! I also was disappointed this month again but I came out of it super quick, my thought was nevertheless, I am resting in the arms of my Savior who will never leave nor forsake me and I am encouraged!! Thank you for putting your self out there so that the rest of us know we are not alone in the journey towards children! oh i used to love wingstop when I lived in FL! I am tempted by many things…pizza, tacos, cheeseburgers, french fries, rolls, lol!! Love your honesty in this post! I can definitely relate to this; we haven’t been trying as long as you guys, but I’ve definitely seen a few “perfect” times come and go. God’s timing is confusing and sometimes downright annoying, but it is always perfect. I absolutely love reading your posts, your are so faithful and have such a big heart for God. You inspire me to draw closer to Him when the going gets tough and to just trust. Yes girl just draw close to Him and trust in Him. He won’t fail you…He is nothing but loving and good. Life isn’t always easy, but somehow when I lean on Him, it starts to feel easier to deal with it. Wow. Seriously with the timing? I’ve been lying in bed reading my version of gossip magazines (infertility blogs) on my CD1 this afternoon. This past month we had the same thing. I really had physical and spiritual signs that this was THE month and felt very at peace with my life. I was upset when I started spotting, then today just felt wrecked. I’ll pray that this short cycle is the start of more to come for you along with two lines in your future at the appointed time! Thank you! I keep telling myself that if I thought THAT was the perfect time, then how much more perfect will God’s time be? That gets me excited!! I loved this. It’s far too easy to be SO confident that “THIS IS THE CYCLE”. But (YES BUT) I believe this is that faith that God calls us to. Hubby and I just had a chat about this last night. He said he wants us to have the faith to fully believe that this IS the cycle that if AF happens to appear, we should be disappointed. Not disappointed in God or angry at Him. But disappointed in the fallenness of this world. Disappointed that our physical bodies fail us, and our Fulfiller never will! Hubby mentioned he wanted to start living out his faith in a whole new way. It is disappointing, but I love how much more perfect it will be when God delivers on his promise!! Praying for more regular cycles and continued physical healing over your body, and that your faith leads you to always believe God will provide every month, regardless if AF shows. LOVE YOU! Oh I def go into every cycle believing it is going to be the one…but I always say during the whole cycle that if it isn’t, then I trust You God and I trust in Your timing and ways. I guess the point of this post is to not always look for signs and go by those as well. I have HOPE every cycle, but my HOPE is in that I will be a mother some day….not in that cycle. If we put our hope in things, signs, or the timing then we will be shattered when it doesn’t happen or more cycles go on without having a baby in our arms. But if we put our hope in God and His word, then when it doesn’t happen when we would like, we are still able to believe and not give up or give in to doubt. love ya girl! You are so encouraging! Waiting is so hard but will be so worth it! Very very well said. This was a beautiful post! I just started trying to conceive and I am already impatient. I have a jealousy problem as well because my unwed younger cousin had a baby in November and its easy to wonder why she got pregnant instead of me. God knows, though. He has it all under control. Thank you for the reminder. Yes your time will come soon too 🙂 Just remember that God created our bodies to create, so her’s was just doing what He intended it to do. Keep hoping and keep the faith! Romans 2:11 says that He doesn’t show favoritism. 🙂 I always try to remember that when I see another prego woman walk by me. So true!! I struggled with baby #1 and I’m currently struggling with #2. I always have the “perfect” time, the “perfect” announcement and month after month they pass on by. And in my heart I know and believe that God has the perfect plan, timing and baby for our family, but the emotional roller coasted mixed in it can be so hard sometimes. But He is faithful!! 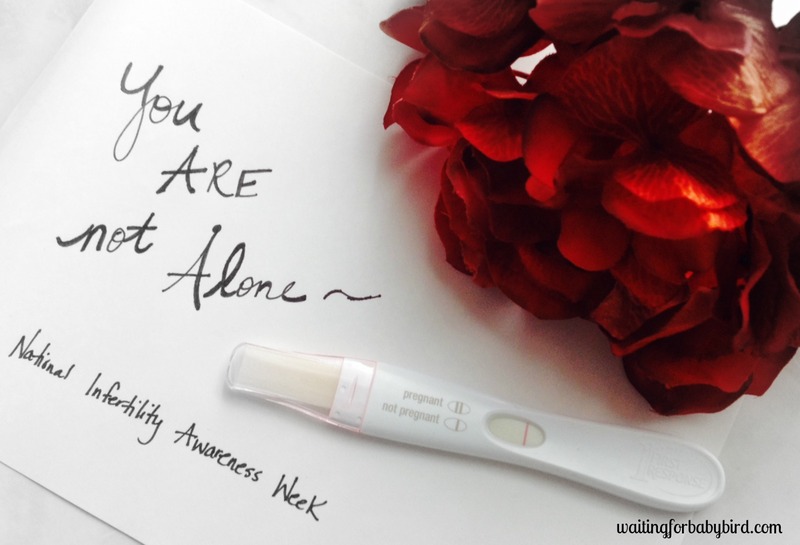 I’ve started a secret group on Facebook with some other bloggers who are struggling with infertility. It’s been great place to vent, be encouraged and ask for prayers from others who “get it”. Let me know if you’d like to join! Praying for you!! of course I would love to join!!!! I don’t have a “secret” group but I did start a “HOPE” facebook page and I update it daily with other blogs I enjoy, inspirational quotes, scriptures, etc. You can find it on the right hand side of my page. Great insight, and I can totally relate. I remember with our first pregnancy (which was accidental — please don’t shoot me) — I cried out to God, “THIS IS NOT THE RIGHT TIME!” I wondered why my friends who were infertile weren’t pregnant, yet I was. Little did I know that that baby may be the only one I was able to carry to term. Perhaps it needed to happen THEN, before whatever it is that makes me miscarry started. Since then, I do think about the perfect time. Our last pregnancy was conceived this last Valentine’s Day. And to be honest, I loved that. I even told my hubby that day — “Hey, let’s make a Valentine’s baby tonight!” And we did. I also loved her due date. November 12. Right in time for the holidays with a brand-new baby. As you know, that baby didn’t make it long at all. And again, I have to put everything back in God’s hands. My baby. My plan. And my perfect timing.